Alice DiMicele’s a highly-principled songwriter. 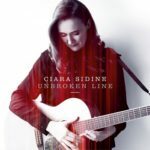 She creates songs about the things that matter to her, whether it’s the environment, land rights of indigenous peoples or being in a relationship with an alcoholic. To these powerful themes she adds a wide range of musical stylings to create nine songs (nine song albums, is that a thing now?) that demonstrate a wide range of influences while retaining an organic, rootsy feel. If that wasn’t enough, she has a tremendous voice with a huge range and the ability to work across different styles. All of this and a John Lennon cover to close out the album. Sounds good to me. As much as I love the elemental, environmental themes of the album, the song that I want to hear again and again is “Lonely Alone”, a poignant ballad that tells the story of life with an alcoholic. It all fits together perfectly, from Alice’s soulful delivery (reminiscent of Etta James’ “I’d Rather Go Blind”) to the Steve Cropper-like crystal-clear guitar solo and even the prominent accordion; there’s not a note out of place. It’s followed immediately by the uplifting “Waiting” with its South African rhythms and a bit of steel pan to add a Caribbean carnival vibe to create a feeling of joy that throws the stark environmental messages into sharp contrast. Apart from these two songs, the overall sound of the album has hints of The Band (maybe it’s the Hammond B3 and slide guitar) and some interesting string arrangements (on “The Other Side” and “Seeds”) and a lovely stripped-back version of the final song, the album’s only cover. It’s fair to say that “Imagine” isn’t my favourite song, but Alice strips away the overblown elements of the original and, with some delicate finger-picked guitar, harmony vocal and cello; can you believe it, “Imagine” with a cello solo?. It’s only a delicate touch, but the call and response of ‘brotherhood of man’ and ‘sisterhood of woman’ transforms the song completely. “One with the Tide” is an album full of seemingly effortless performances, thought-provoking lyrics, startling contrasts and superb vocals. Favourite song? Has to be “Lonely Alone” with the perfect soul combination of a sparse arrangement, melancholy theme and Alice’s soaring vocal. 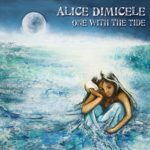 “One with the Tide” is released on Friday January 19 on Alice Otter Music (AO114).